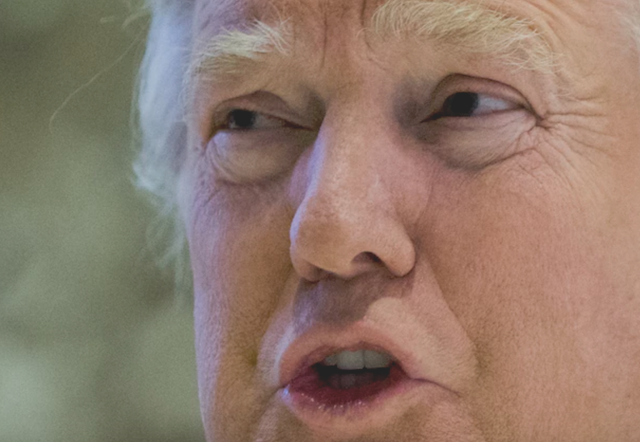 Why are Donald Trump's pupils intermittently so Dilated? You probably haven't noticed, but President Trump's pupils are intermittently much larger than normal (the intermittent pattern is crucial). From a medical standpoint, this is not at all subtle or to be dismissed - on the contrary, it is glaring. Sirens Blaring. Red flashing lights. 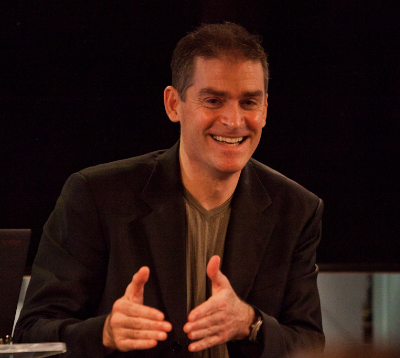 I write this article with the expertise of both an ophthalmologist as well as a body language expert. 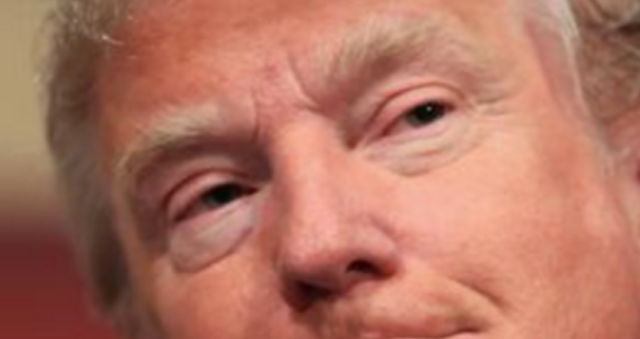 In the image above Trump's pupils are approximately 8.0 mm. The dark-adapted eyes of a healthy 12-year-old may have 8.0 mm pupils - but in an unmedicated 70-year-old with healthy eyes, in a well-lit room - the statistical odds of such large pupil size approaches zero. Why is this significant? Dilated pupils, to this degree, would not occur in a 70-year-old, in a well-lit room unless there is either disease, injury or a pharmacologic cause present. Trump's pupils are frequently but intermittently this large (sometimes they are indeed within normal size limits). 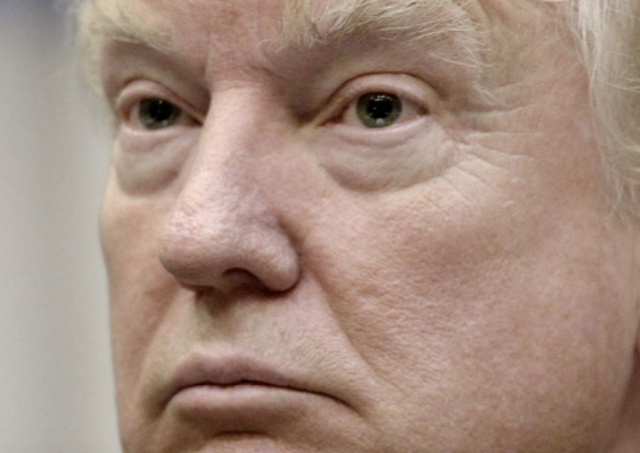 Trump's enlarged pupils are much less likely a sign of a significant undiagnosed or undisclosed medical condition - and much more likely, a side effect of a drug/medication (one of a relatively small group of drugs). Most people know that exposure to light causes the pupils to constrict. However, you may not know that focusing on an object close up (e.g., when reading) will also cause pupils to constrict. These physiologic findings are normal for all healthy eyes. We cannot medically test for these stimuli (response to a bright light or response to focusing at near) on Donald Trump by evaluating available video or photos - however, at least with response to light, we can make some reasonable estimations. You also may not realize that, under equal lighting conditions, pupils will become smaller with age. Thus an infant has much larger pupils than a 70-year-old. This change, generally speaking, isn't very noticeable (for most casual observers) until a person reaches their 30s or 40s - and even then it's not dramatic. But certainly, this difference is much more noticeable in a 71-year-old. 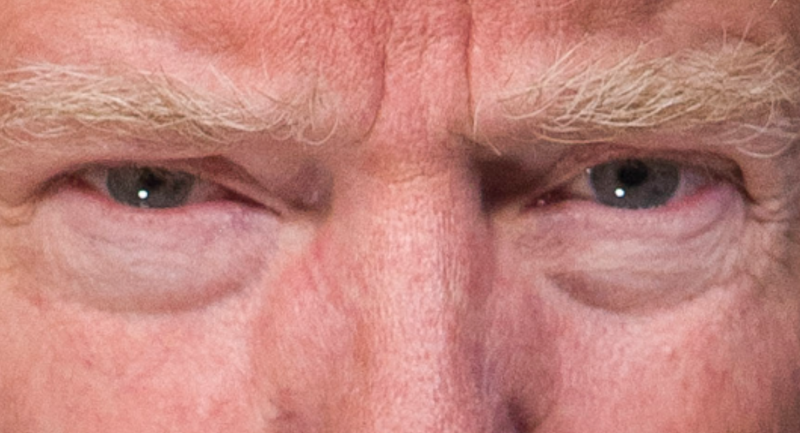 Donald Trump's pupils are very frequently larger (often much larger) than they should be for healthy eyes of his age. His pupils are very often as large as they would be if they were medically dilated by an ophthalmologist (with eye drops, such as Tropicamide and Phenylephrine). 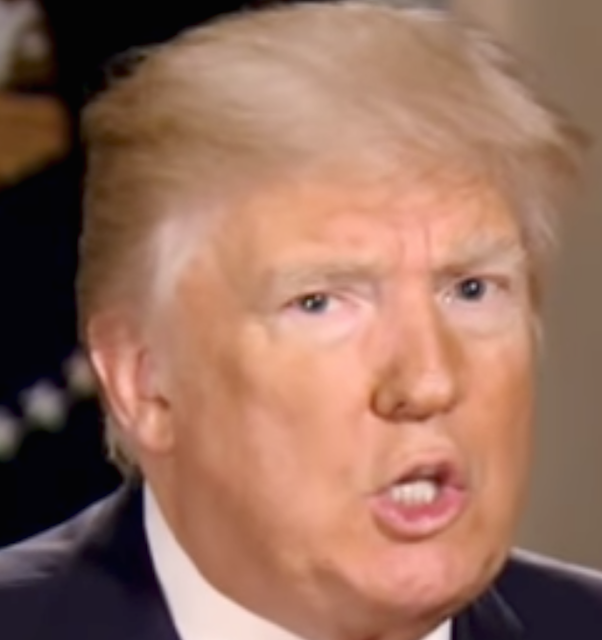 As a control, we can compare Trump's pupils to those who have interviewed him, and are under the same light conditions. 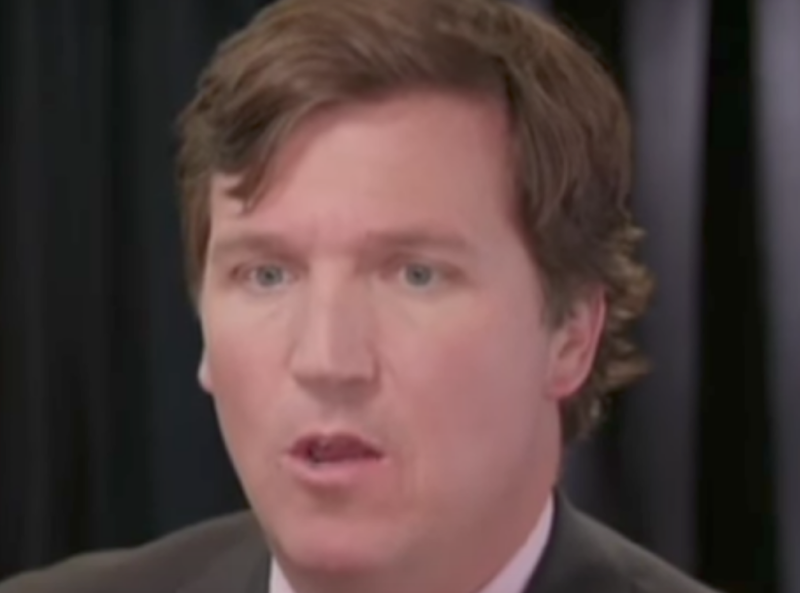 In the images immediately above and below, we see Donald Trump and Tucker Carlson during a 15 March 2017 interview. Trump's pupils are approximately 5.0 mm in diameter while Carlson's are 3.0 mm. Carlson is 23 years younger than Trump, thus all other things being equal, Carlson's pupils under equal light conditions should be larger - not equal, let alone smaller - than Trump's pupils. Are Donald Trump's Large Pupils a complication Cataract Surgery? Cataracts are an entirely normal aging process. Virtually all 71-year-old people have at least mild evidence of cataracts (and certainly they may be moderate or advanced) and thus many will have cataract development to a degree for which surgery is indicated. And while it's not entirely clear if Trump has had cataract surgery, some of the available images online are physically close and with high enough resolution to suggest this is the case. For several decades it's been considered at least a mild-to-moderate surgical complication to have a permanently dilated pupil (or partially/permanently/poorly reactive pupil) after cataract surgery. This complication can be thought of as a form of micro-trauma to the iris. Such findings are often a signal that other complications also occurred during surgery. While even in the best surgeon's hands, complications do occur, the likelihood that Trump had this complication in both eyes, is extremely unlikely - because each pupil constricts and contracts - a healthy quality. Large pupils after cataract surgery often cause a lot of unwanted symptoms (e.g., glare, reflection, increased astigmatic effect, photophobia, etc.). It's possible that Trump has some of these symptoms, but probably not to any significant degree. Indeed, if the iris is damaged - leaving large pupils after cataract surgery, often a secondary procedure is performed to make the pupil smaller - thus minimizing any of the above-mention symptoms. Trump's pupils are equal (or very closely so). And although they are often larger than normal, they do vary in size and are at times "within normal limits". This finding eliminates surgical complications as a cause of Trump's often larger pupil size. Pupils damaged as a result of surgery wouldn't respond in this manner. In this image, his pupils are 3.5 - 4.0 mm (the slight difference in his pupil size [known as physiologic Anisocoria] is not significant or medically noteworthy - although certainly if one pupil was much larger or much smaller, it would be very important). So here we see that his pupils ARE indeed ABLE to contract to a smaller size - and this is crucial. But the question is - why are they intermittently so large, so often? Are Trump's large pupils due to him deliberate dilating his own pupils with eye drops? This is highly doubtful. Medications such as Atropine, Scopolamine, Phenylephrine, Tropicamide, Homatropine, and Cyclopentolate are used to dilate pupils for ophthalmic examinations. These are also used to treat certain medical conditions in the eyes. Most notably these include various inflammatory conditions (Iritis, Uveitis, etc.). These conditions will often be correlated with diseases which frequently have serious ramifications for other parts of the body (thus may represent ophthalmic manifestations of systemic diseases). Occasionally, people will deliberately dilate their pupils so as to feign a medical condition and thus seek attention (Munchausen syndrome). This is an extremely unlikely cause in the case of President Trump's pupils - for he always tries to present himself as extremely healthy. Very uncommonly to rarely, a person will inadvertently get a bit of medication or a chemical compound in their eye which will dilate a pupil. There are even species of plants, which, upon gardening and then rubbing one's eye will have this effect. When this occurs, it will almost always effect only one eye - not both. Again, a long-term observation of Trump's eyes negates this possibility. What about trauma? Could eye or head trauma cause a person's pupils to be large? 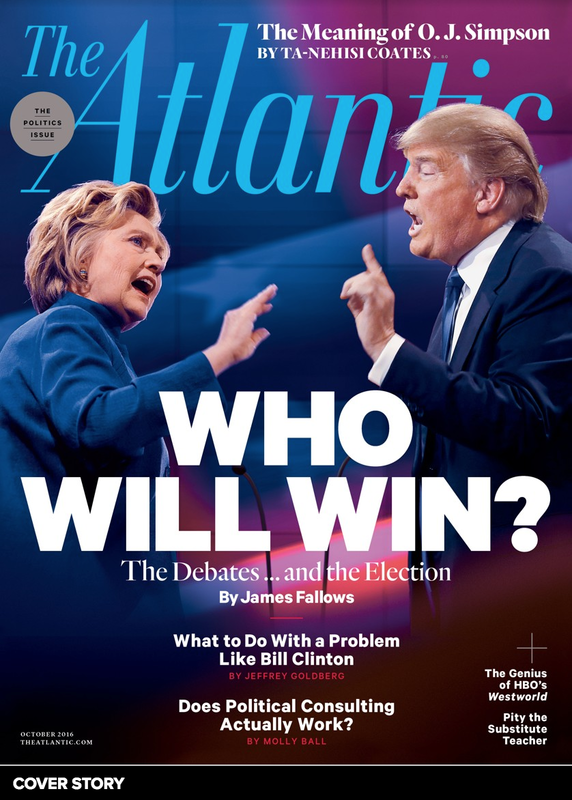 Yes - but not in Trump's case. Since Donald Trump's pupils change in size over time, and they are round (not irregular in shape) and equal in size - trauma can be eliminated as a cause. What about a Disease or other Medical Condition? Below is a list of medical causes of Enlarged Pupils, none of which applies in Trump's case, for multiple reasons, but in particular because his pupil size changes over time and also would have multiple other associated symptoms with any of these conditions. 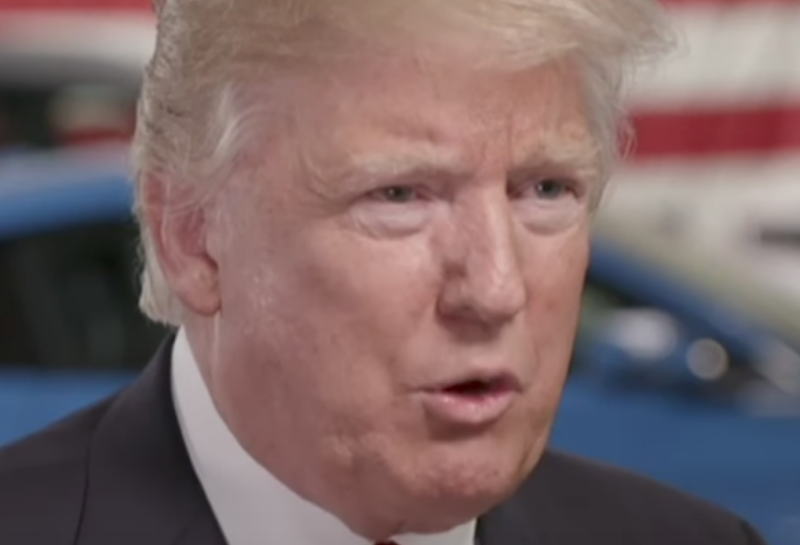 What about Medications/Drugs as a Cause of Trump's Large Pupils? Summary: President Donald Trump's pupils are intermittently and significantly dilated - from a medical standpoint, this is NOT normal. The ambient light conditions cannot account for such changes. At other times they are within normal limits. This intermittent pattern is NOT due to trauma, complications from surgery, or disease. I have not examined Donald Trump and I have no firsthand knowledge of him - however, the myriad of photographic evidence available online seems to point strongly to the remaining possible etiology - Donald Trump's Intermittently Dilated Pupils are due to the side effects of drugs/medications. Recent reports by journalist Kurt Eichenwald are consistent with this conclusion. I invite everyone to refute or confirm these medical findings - particularly those physicians with neuro-ophthalmology expertise. I also suggest that an independent party set up a publicly available, online photo/video diary to chronologically highlight and monitor President Trump's pupils.